After the closure of the three biggest online poker rooms in the US in April 2011, the size of the online poker market has shrunk considerably there. Therefore online poker sites are actively seeking alternative markets in developing countries and India appears as a potential future market. This was substantiated in a report released by the Media Entertainment Consulting Network (MECN), which focused on a few Asian countries and named India in particular. 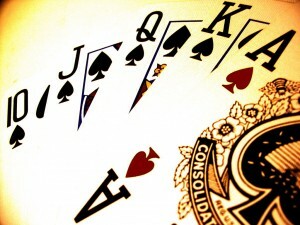 The report estimated the potential market for online poker in India at more than $50 billion. The leading online gaming company, 2UP, has elaborated on this. They cite that there has been an increase in players from India wanting to play real money online poker at sites like PokerStars. This demonstrates that there is a potential market for online poker in India. In order to get first mover advantage a team from 2UP visited India in September, 2011 with the objective of forming a partnership with potential investors to offer online poker to Indians. The problem is that in India gambling, including online gambling, is illegal. The Indian government has not come out with any positive indicators so far, and it could be a while before the online poker potential in India is realized. However, certain other developing countries have begun to take advantage of the situation. South America has traditionally opposed online gambling. But the economic crises in some countries there, coupled with demand from the market, has led to the opening up of online poker real money games. Guyana has already linked up with Antigua and Barbados, which have a robust online gambling circuit.